The outgoing High Representative, Wolfgang Petritsch, officialy hands over his duties to the new High Representative, Paddy Ashdown. The High Representative, Wolfgang Petritsch, and the members of the BiH Presidency receive samples of the new Bosnian identity card. The High Representative holds the fifth and his last Civic Forum discussing the amendments to the Entity Constitutions. The Director of the International Multi-religious and Intercultural Centre, Marko Orsolic, presents the High Representative with a certificate of appreciation for his work. The High Representative visits returnees in Bukova Grada and Hajdarevici. Entity Ministers of Education sign a letter of intent to implement the principals of the Bologna Declaration in BiH universities. The High Representative announces his Decisions finalising the constitutional reform process in the Entities. The High Representative meets with the NATO Secretary General, Lord George Robertson. The High Representative meets with the EU High Representative for Common Foreign and Security Policy, Javier Solana. The High Representative met with various leaders of BiH's main religious communities and elected representatives from Slolac and Mostar. Press Conference following the Conclusion of the Agreement on the Implementation of the Constituent Peoples' Decision of the Bosnian Constitutional Court. Final session of the constitutional reform talks among the leading Bosnian parties under the auspices of the High Representative. 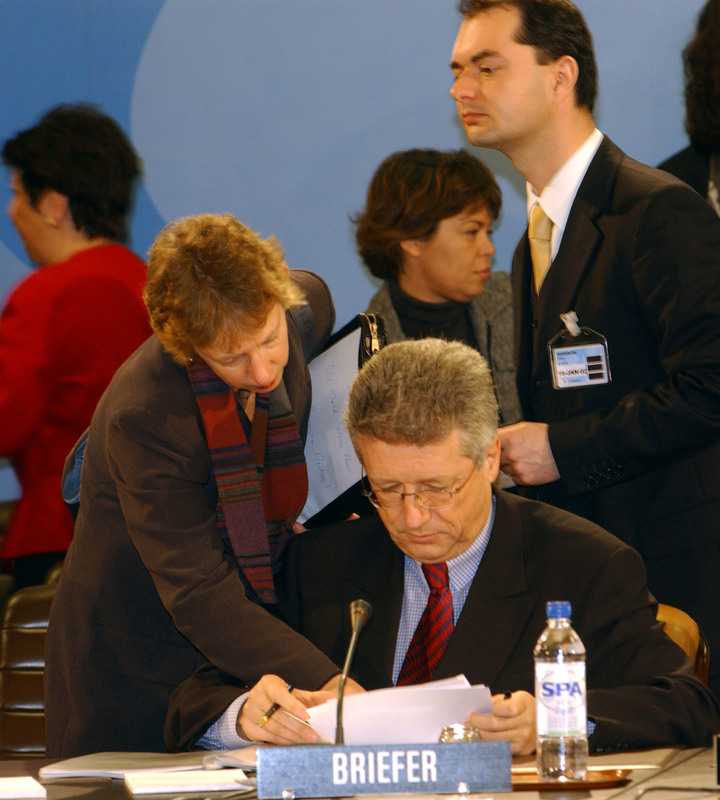 Under the auspices of the High Representative, Wolfgang Petritsch, the leaders of Bosnians main parties discuss the implementation of the “Constituent Peoples Ruling”. The High Representative, Wolfgang Petritsch, and the Secretary General of the United Nations, Kofi Annan, during their meeting in New York. 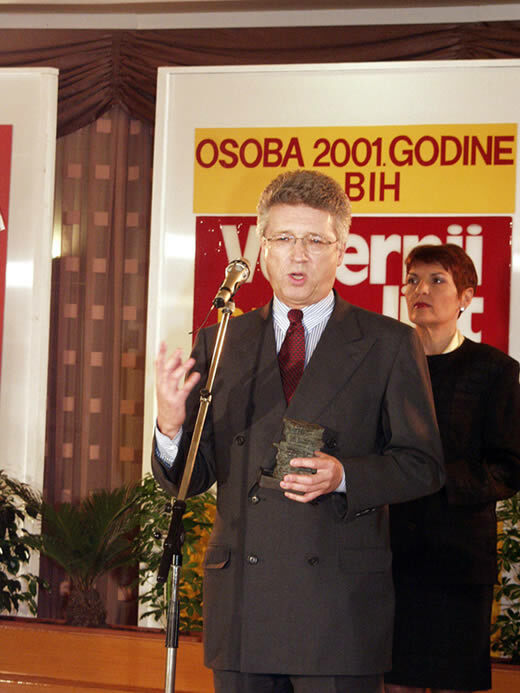 The High Representative won the “Media Press” award, chosen by journalists as the person most widely represented in the media. The High Representative advocates Bosnia and Herzegovina's membership of the Council of Europe. 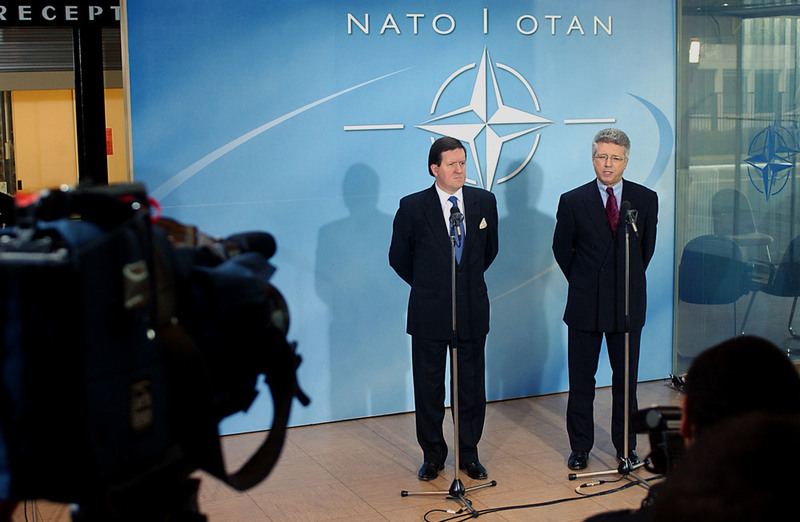 Wolfgang Petritsch attends the meeting of the North Atlantic Council and meets Secretary General, Lord Roberston, Ambassador Nicholas R. Burns and Ambassador G. Alternburg.